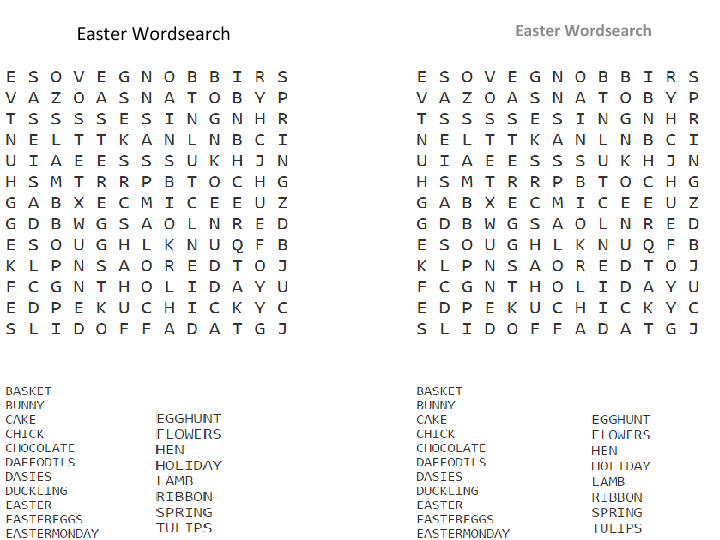 I used the puzzle generator to make this puzzle. 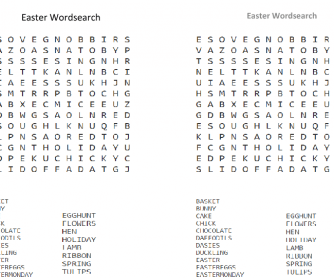 It consists of 19 words related to Easter. It is a cut and paste powerpoint with two pieces. Make sure you adjust both pieces if you decide to make the printout larger or smaller. I think the present size is the ideal size.